Consumers in the region are becoming more cost-conscious, less brand-loyal and rapidly shifting purchasing behaviours, according to a survey conducted by McKinsey & Company, a global management consulting firm. Approximately 55 per cent of consumers are now actively looking for savings across markets, with those in Saudi Arabia leading the pack, said the 2018 Middle East Sentiment Survey. They are finding creative ways to spend less and more actively considering alternative brands than in previous years. The survey was launched recently at the Retail Leaders Circle in Dubai, UAE by Peter Breuer and Gemma D’Auria from McKinsey & Company. Amongst the survey’s findings, almost 35 per cent of consumers now look to buy their preferred brands at any cost instead of trying out alternative brands at cheaper prices. This is down from almost 45 per cent in April 2017. The survey also revealed that 78 per cent of consumers in the region changed their buying habits to save money. Multichannel shoppers have cut spending in all channels and increasingly favour discount formats and chain grocery stores. Saudi Arabia and UAE consumers felt they were forced, over the last two years, to make adjustments to their spending habits and now feel more confident about spending disposable income, in order to regain some of their lost purchasing power. In Saudi Arabia, 34 per cent of consumers are looking to buy their preferred brands at any price point, as compared to 42 per cent in April 2017. In UAE, this number was 34 per cent as compared to 41 per cent in 2017. 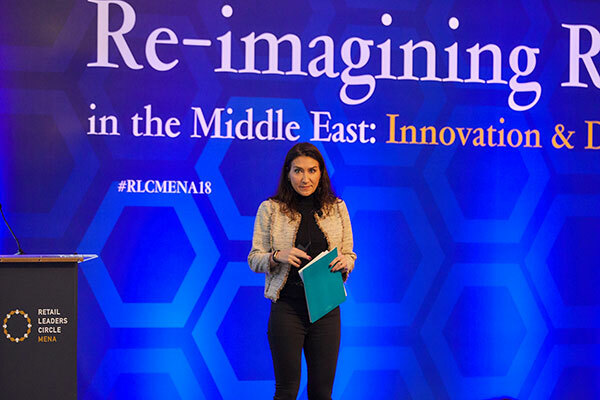 “Interestingly, consumers in UAE and Saudi Arabia responded similarly to most questions that were put to them and despite fluctuating financial sentiment, they believe they are saving and delaying purchases less than in Spring 2017,” said D’Auria, leader of the Retail practice in McKinsey’s Middle East office. McKinsey’s 2018 Middle East Sentiment Survey classifies shoppers into five categories based on their behaviour - savvy cost-cutters, thrifty brand loyalists, selective splurgers, trade-down converts and multichannel shoppers. Across the globe, more consumers traded up to more expensive brands, while fewer consumers traded down to cheaper options. Although the overall consumer sentiment illustrates a shift towards cost consciousness, the market remains fragmented with a consistent and sizeable number of consumers still willing to trade up to higher value or luxury brands. In the region, almost 16 per cent traded down and 11 per cent traded up in this year’s survey. Consumers in UAE and Saudi Arabia continue to move away from mid-market brands. UAE was ranked 8th and Saudi Arabia was ranked 11th in the list of countries where consumers were trading up, from among a group of 30 countries. In the UAE, 14 per cent traded down and 12 per cent traded up while in the Saudi Arabia 16 per cent traded down and 11 per cent traded up in this year’s survey. In the region, approximately 54 per cent of those who have opted to trade down were happy with this decision with 46 per cent admitting a desire to return to their old brands. In the Saudi Arabia, 45 per cent of those trading down expressed satisfaction, up from 41 per cent in September 2016. “People are becoming less brand loyal. Earlier, they were looking more for preferred brands in cheaper channels, now they are more inclined to try and stick with lower cost brands – a shift which we attribute to an increase in the perceived and real quality of private label and lower tier brands,” added D’Auria. Winners in retail today use data inputs such as consumer sentiment to drive analytics driven decision making and those that do are significantly outperforming their peers. Decision making has always been data and algorithm driven, but three trends are accelerating the evolution – unprecedented levels of data, tumbling costs and powerful new computing capabilities and algorithms.